Underrated as one of the best worst movies produced by a major studio, the fourth in Universal’s Airport line is a gem of incompetence. 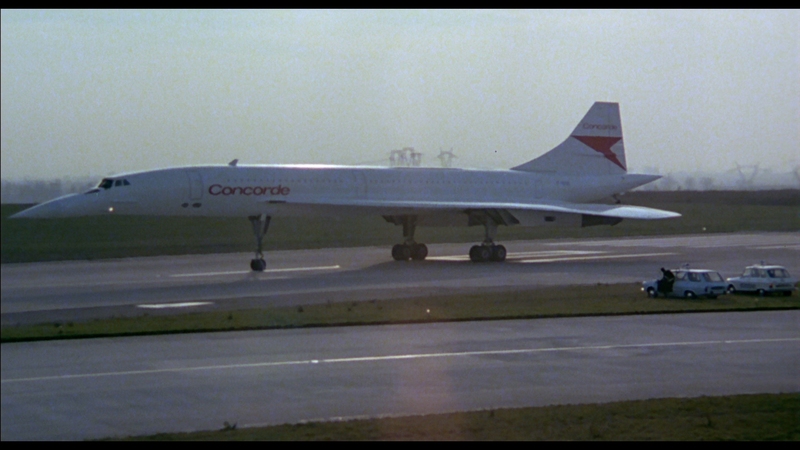 The Concorde’s lows are infinite. 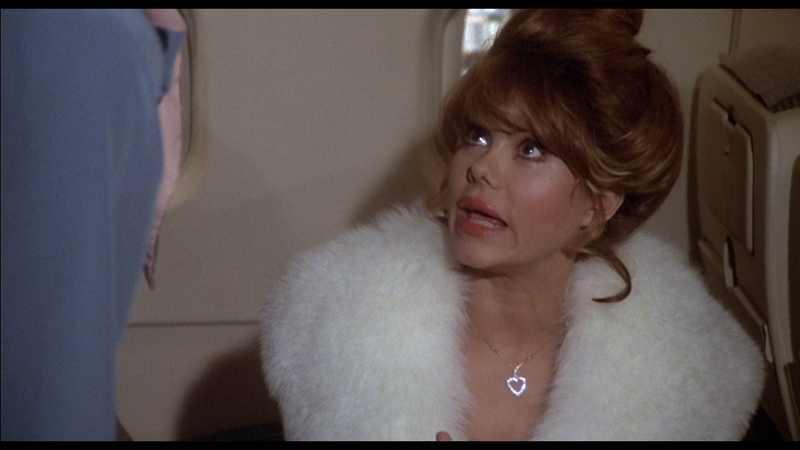 Elderly passengers suffer bladder problems, vague racism plagues Jimmie Walker’s character, George Kennedy notes the meaning of “cockpit,” and Charo takes a seat for a cameo, but is never seen again. 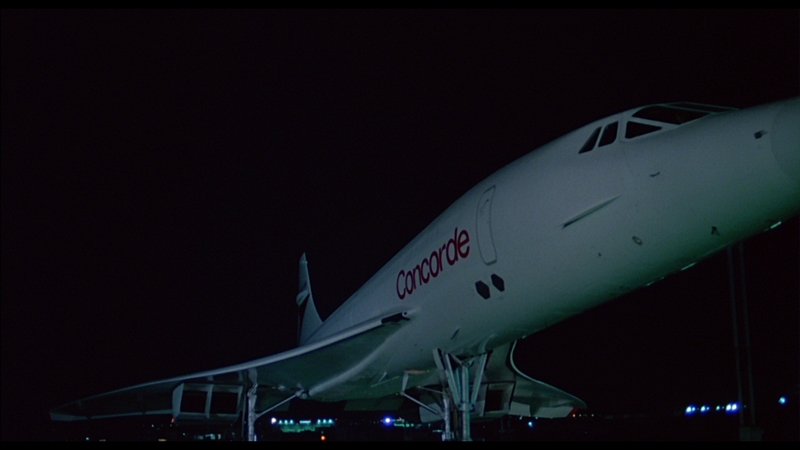 Airport ’79, or The Concorde: Airport ’79, or Airport ’79: The Concorde (depends who you ask) grounds a majority of its action. Director David Lowell Rich, with a resume of TV movies, casts a dull eye on this awful blockbuster. 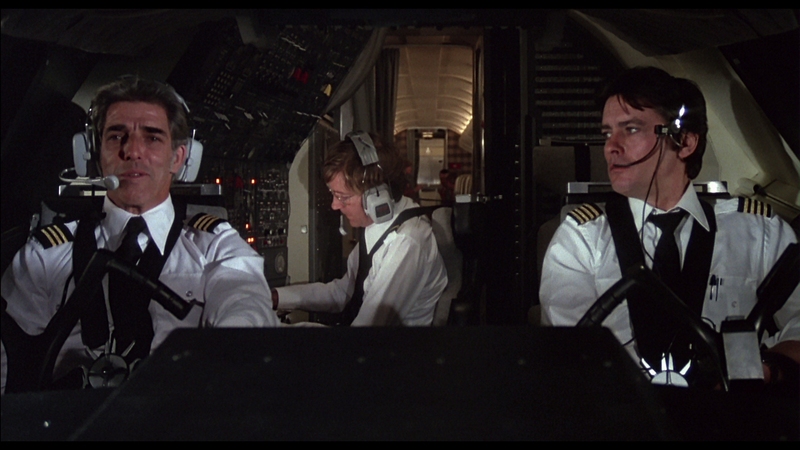 If not in the plane – and even when the story is – Airport ’79’s listless, workmanlike style fails to drive a ludicrous story of weapons dealers gone rogue. A hit carried out an innocent whistleblower has less pizazz than a film from the ’30s, and even those offered glamorous lighting. 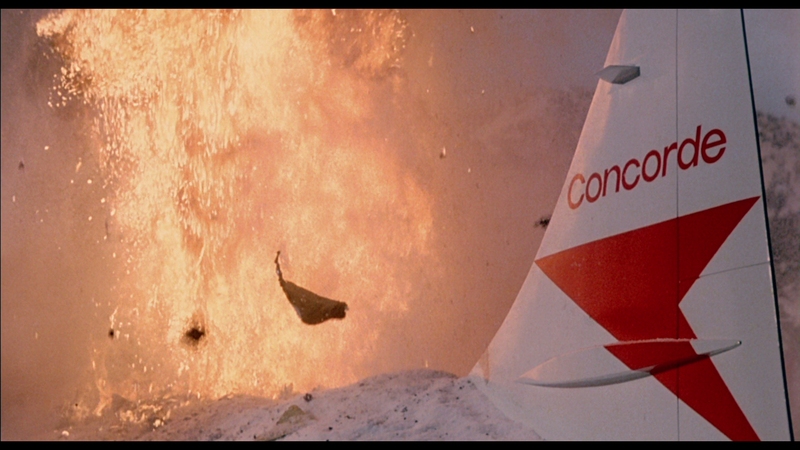 … Airport ’79 parodies itself. 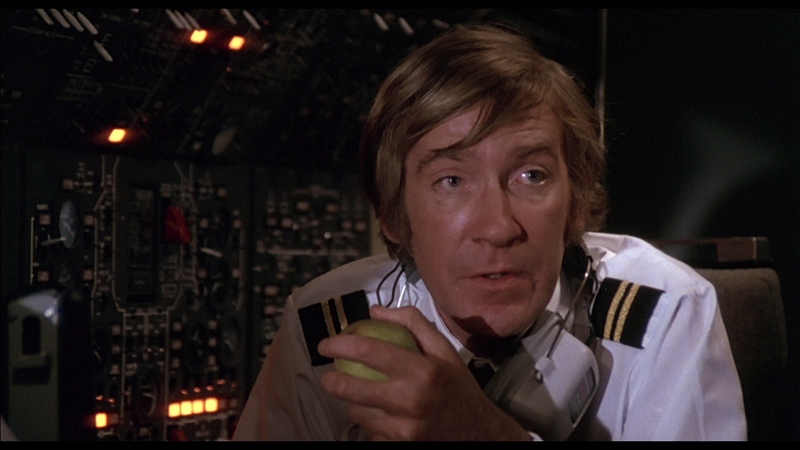 It would better Airport ’79 to stay out of the air. 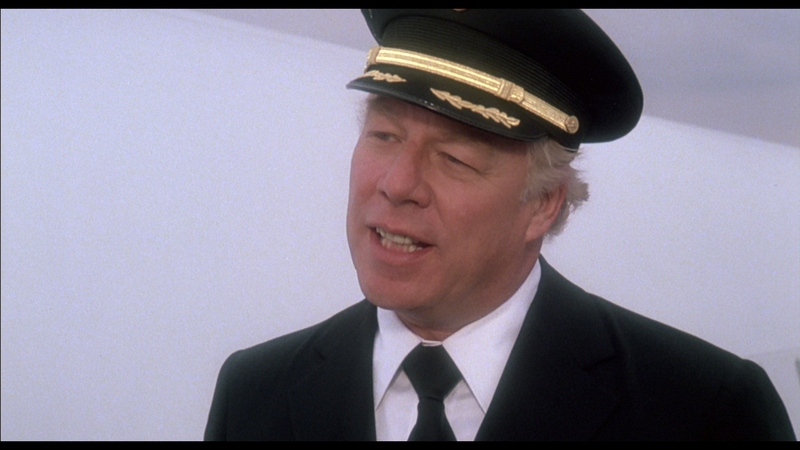 Once there, George Kennedy’s continuing role of Joe Patroni suddenly turns from mechanic to 30-year flight veteran. 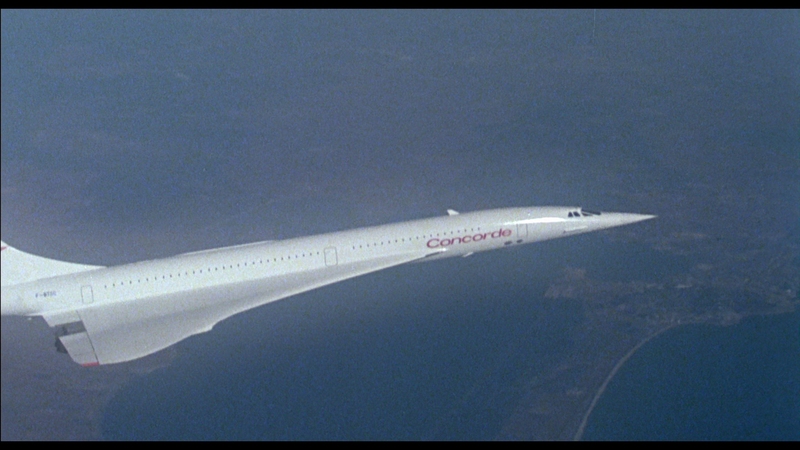 The Concorde comes under fire from early drone technology. The 128-seater flips and turns as if a one-man private aircraft. 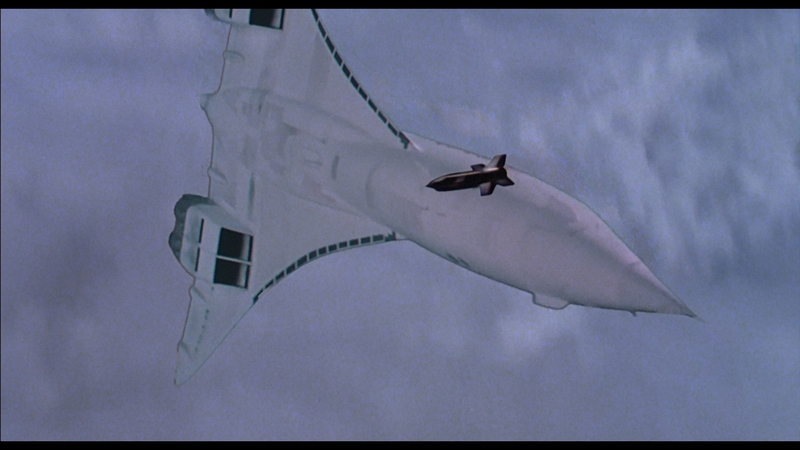 Minutes later, an unidentified jet slings missiles toward the aircraft and the cycle repeats. 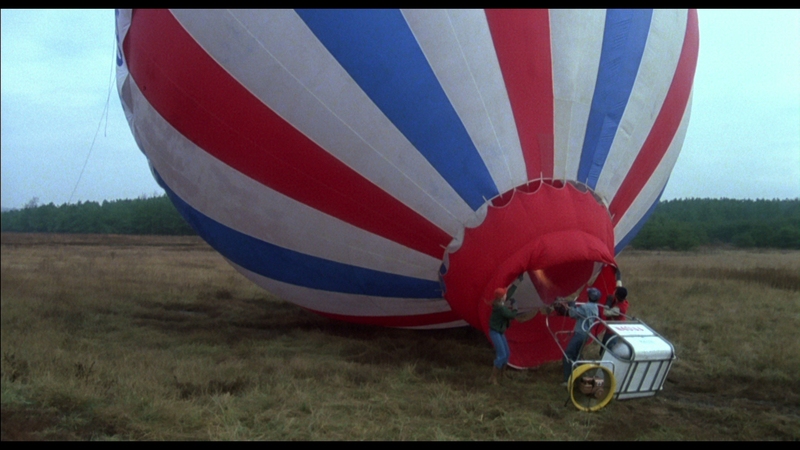 Once recovered and grounded, no one speaks of the attacks – and there’s still another instance of aerial drama remaining in the film. 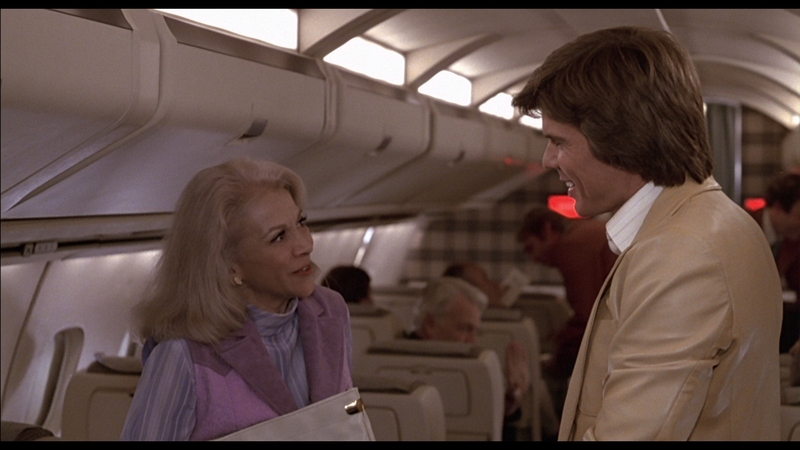 While the series became known for its lofty casting choices from old Hollywood, Airport ’79 dips into the Dancing with the Stars-like D-list. 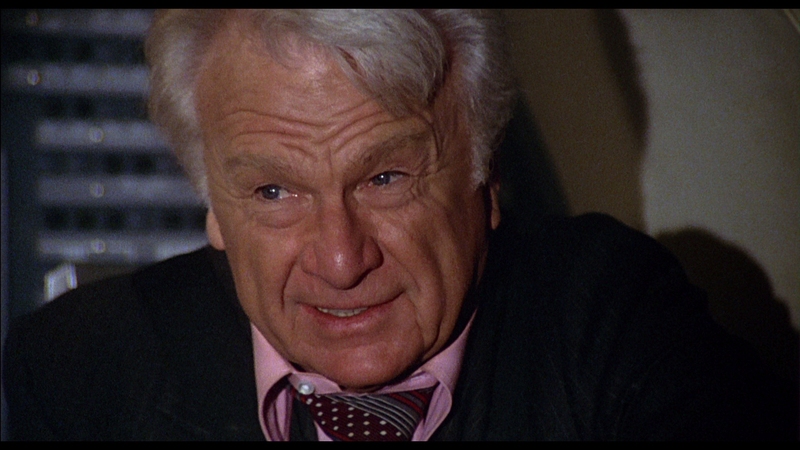 Besides Kennedy and Jimmie Walker, Robert Wagner and Green Acres’ Eddie Albert squeeze between a number of foreign actors. No one stands out; it’s a mess of people who serve as targets for missiles. 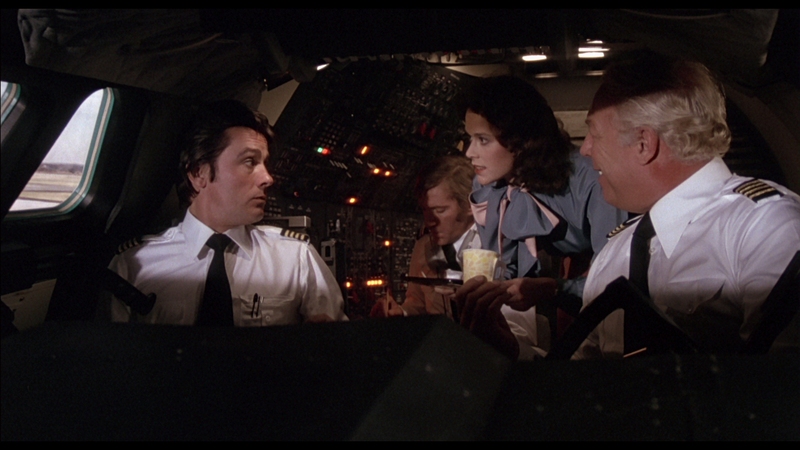 Airplane would spoof the disaster genre one year later, although Airport ’79 parodies itself. It’s the second time the series would plug the “sick kid” routine into the script, third if you count the injured child in Airport ’77. Certain one-liners feel added in post-production after the miserable dailies came through, attempting to salvage what’s here. So goes the legend of this debacle, laughed out of early screenings, forcing Universal to add “laughs” to the tagline. In that respect, they’re right. 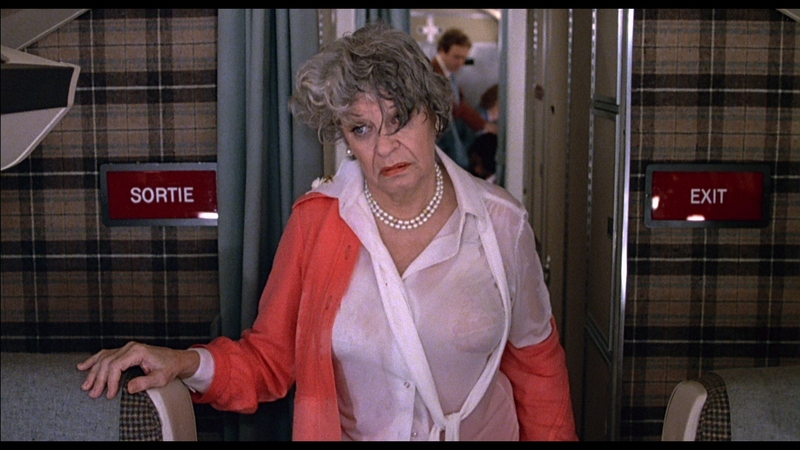 Airport ’79 remains a riot of idiocy. If Universal mastered Airport ’79 for digital media, they did so once. 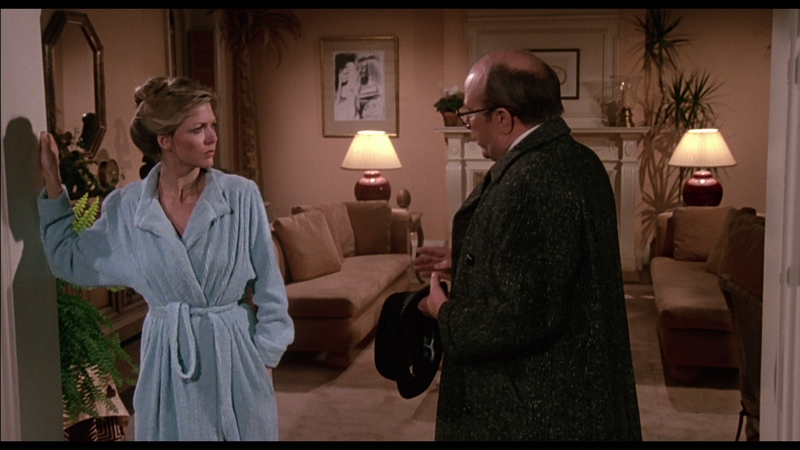 Here on Blu-ray, the film uses an apparent DVD upscale, soft, mushy, and devoid of expected detail. Forget fidelity. Grain exists in large clumps, dropped to mere noise swarming around the image, blotting out definition. 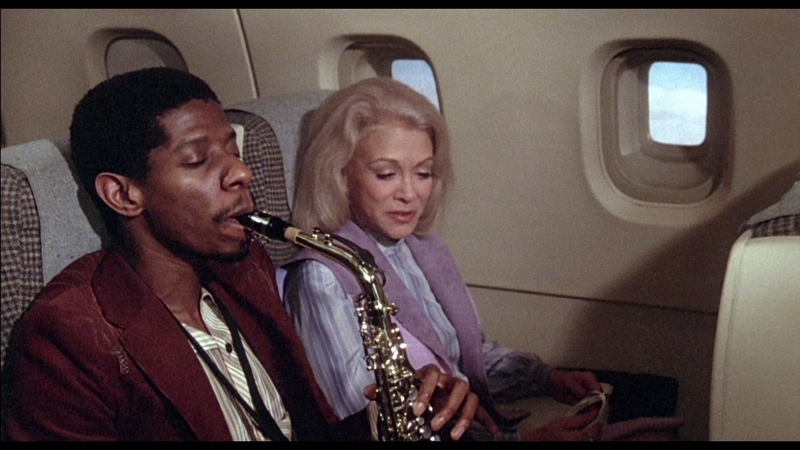 At its worst, Airport ’79 can boast about its chroma noise, the worst I’ve personally come across in a decade or more of doing this. Certain scenes swim in artifacts, aggressive enough to come from the early days of CD-ROM. Not DVD. CD. Although shot on film for theatrical release, Universal’s Blu-ray better represents TV of the era – the appearance of low grade film stock, dodgy black levels, and faded color. Plus, pathetic resolution. It fits the amateurish vibe, if hardly suitable for Blu-ray. 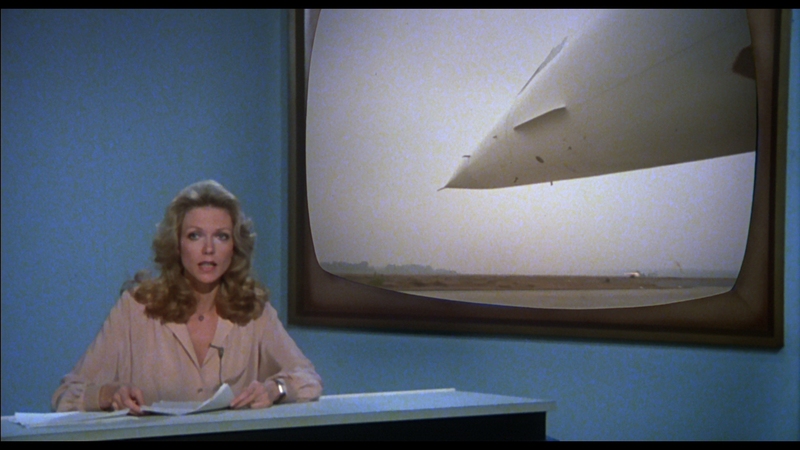 Unlike the Jaws sequels which released individually on Blu-ray near to this Airport set, the studio didn’t have faith in each film on its own. Lucky, then, no one had to spend retail price for a disc this awful. 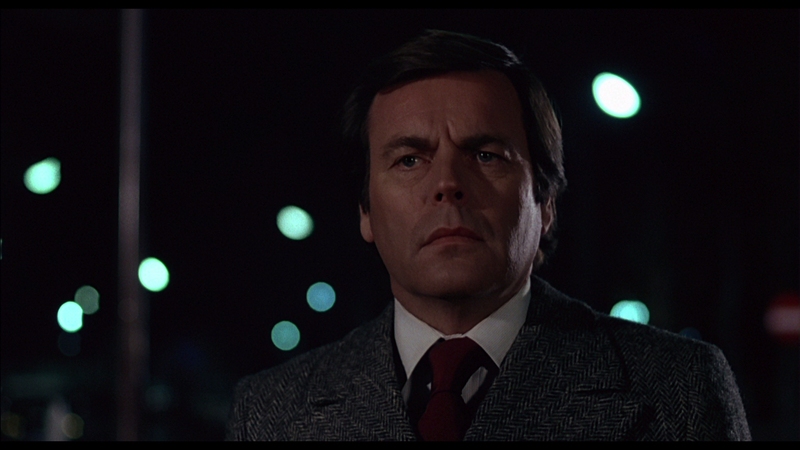 While aged and of lower quality, Lalo Schifrin’s score has bite in this mono mix. Preserved low-end support and clean highs greet the film, before settling into a muddy routine of dry dialog. Action – including engines and explosions – stretch the audio to its extremes. Crowded moments, especially as the plane does a full flip (three times) and passengers panic, push all of the elements together in a muddy mash-up of sound. There’s little to take away from this disc sonically. Just a terribly cut theatrical trailer for your amusement.